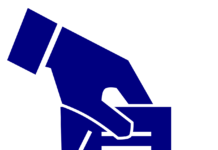 The story of David versus Goliath is well known and used whenever an underdog takes out the favored team. 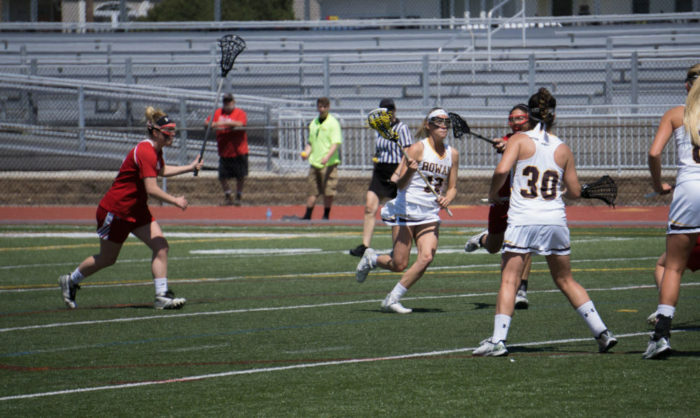 That story will not get brought up following the Rowan women’s lacrosse team’s 9-0 loss to No. 2-ranked The College of New Jersey. 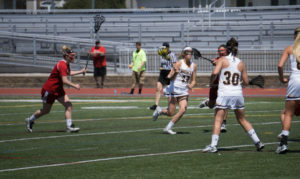 It was the brown and gold’s first New Jersey Athletic Conference defeat of the season, as well as the first time since 1988 that they were shut out. 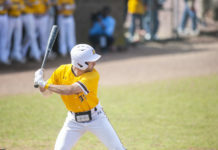 The Profs traveled to Ewing, New Jersey on Tuesday night, coming off wins in their first two conference games: a last-minute, 8-7 victory against Stockton University (April 12) and a 13-10 triumph over Montclair State University (April 16). The Lions posed a greater challenge. They hadn’t dropped a game at home all season and only lost one overall. TCNJ scored three-and-a-half minutes into the contest against the Profs and never looked back, totaling seven goals in the first half alone. While TCNJ was able to score almost at will, the Profs had trouble getting things going. The brown and gold turned the ball over 21 times. That was just about on par with their season average coming in, but it proved costly against a top-three team. Rowan also was only able to manage to get six of their 12 shots on goal. Of their eight free-position shots, zero were converted. “I think confidence is an issue for us offensively right now, but we’ll figure it out I’m sure,” Delaney said. The defense and goalkeeping did provide some bright spots in the second half, only allowing two goals on 10 shots. 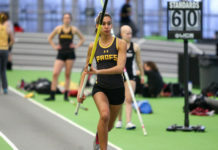 Prior to the game, Rowan was second in the conference behind TCNJ, but following the loss the Profs found themselves tied for third with Kean University. With games against Kean, Rutgers-Camden and Ramapo College remaining, the hardest part of the team’s NJAC schedule may already be behind them. Of the three teams, only Kean has won a conference game. The Cougars (12-2, 2-1 NJAC) are also the only team with a winning record. Rowan travels to its northern rival on Saturday, marking the start of the final week of the season. Delaney knows how important getting three positive results would be. The team is still in the driver’s seat to host a conference tournament game.